What is Search Engine Optimization (SEO)? SEO is the science of being seen and staying seen on the web. It is a monthly paid service for getting the search-engine-robots to rank your site onto the highest page possible. That's right. 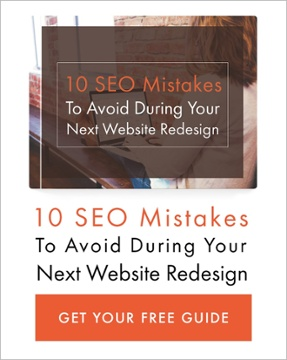 Having a great site doesn't automatically mean that it will get traffic, but SEO does. We've all seen pictures of Google's epic offices down in Silicon Valley, people running around everywhere with ping pong paddles and pastries in their hands. The thing is, when they're working, they are all literally working to maximize and tweak the coding of a robot. Google is a robot. Thinking of it this way helps, as we see that there are still humans programming it to make it better... to help it serve up time and again the most relevant websites to the search being typed in. So, with thousands of guys and gals programming one robot, you might imagine it also takes a highly focused team of gurus working on YOUR side to make sure that you're getting the most amount of relevant traffic possible. We do that here at JCI. We stay on top of the changes they make, the tweaks plugged into the robot's algorithm. Unlike many (most) marketing firms, we don't outsource our SEO work over to India or wherever. Those guys, especially when working on boosting up a localized US business, just don't have the understanding or knowledge of our culture. Today, winning on Google isn't just about keywords and image tags. The Google team has made their bot so smart that it is looking for words, phrases, and ideas to be arranged in a certain order. The Google-bot can read, reason, and understand. So we have to make sure your site is not only telling your prospective clients what they need but providing content that the robot is programmed to believe the public wants to read. These can often be two different things. Once you have a great, mobile responsive site that gets the job done, don't stop. Spend a bit of time to make sure that the RIGHT people are seeing it. When Open Chord Music of Knoxville, TN came to us needing some online visibility for their Venue, Music Store, and School of Music, their website wasn’t even showing up when someone searched for their name. After only a few months, the website increased hundreds of positions for all keywords we were optimizing for in both organic rankings and Google Map placements. You can see in the graphs below that they have moved up around 700 positions (about 70 pages in Google) in both categories since our campaign started! Have Questions about SEO? We can help make sense of the SEO beast. Probably, but you need to find out. The fact is that there is no ‘One Size Fits All’ answer to this question, and some businesses stay visible with very little SEO work (this depends on competition), but most lose out by choosing to not implement SEO. SEO equalizes the market-place so small firms can compete in the same space with much larger ones. It’s found by the web-crawler robots and spiders that the search engines send out. They notice the number of links that other websites have to your site and determine that the more links there are, the more important your business site must be. As well as links, robots look for other elements too, and the more of these they find the higher the ranking. The higher the ranking, the higher the display-position in a search. How can I increase my page ranking? Fill your website with the links and elements the robots are looking for. By hiring an SEO firm you’ll have the best chances of being found at the top of searches, and the best chances of staying there. How Do I Choose a Reputable Firm? Firstly, listen to their answers – you want to hear specifics and more specifics! Have them spell out their strategy for visibility today, as opposed to 6 months ago – this will show they have working knowledge from current clients, rather than using you as the guinea pig! And ask for client referrals – from those who have gone from page 7 to page 1 on Google, etc. Secondly, have them spell out exactly how the money will be used, e.g., how many hours a week, what they will do monthly, and what they will do every 6 months. Lastly, beware of two things. One, firms that guarantee rankings – something no one can do and, two, anyone offering you overnight success. You and they should be expecting a move up the search pages over a 4 to 6 month period, not overnight. We provide SEO services for Redding, Sacramento, and worldwide. Ready to get your site FOUND? Our SEO experts can help!